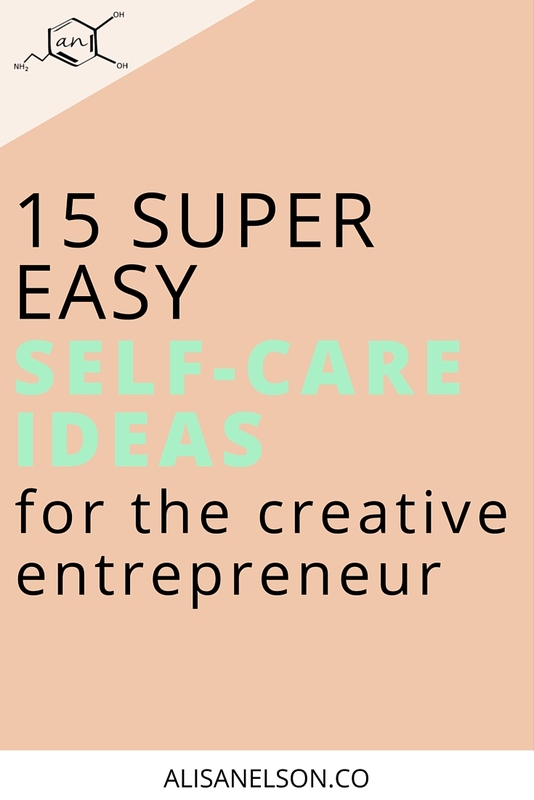 Self-care can happen easily within the everyday business life. What it takes is remembering you are human – and that you don’t exist inside a business-running bubble. One way to incorporate self-care into your normal day is to step into the natural rhythms of the world around you – like the changing seasons. So it’s spring now. Pretty great, right? I mean, parts of the midwest got hit with 12 inches (!!!) of snow last week but my tulips have started popping out of the ground and there are robins everywhere. Perhaps where you are winter doesn’t feel like a real season but up here in Minnesota I’m typically feeling the need for a significant change up in our routines once playing outside without 10 extra pounds of gear is possible. There are certain habits that become “normal” with long + cold winter nights. Delicious + heavy dinners, snuggling up on the couch to watch a few shows before bed, and working long hours – because it’s warm here in this chair and it’s too cold to drive to the gym. Am I right? Well, my gym is upstairs and there are plenty of days where even that feels too cold. Whatever your winter habits are, changing seasons can be the prompt you need to switch it up and get inspired by a new environment + new routines. So this week I’m going to give you a nice long list of ideas for daily self-care. Pin it now for reference later! Hover over the image or click here to pin directly from Pinterest! Before we jump in to the list let’s define a few things. “Self-care” has become a popular term and can therefore have a variety of definitions associated with it. The way I like to define self-care is the actions you take to prepare yourself to keep going. As a business owner, wife to a start up CEO, and a mom to two kiddos, stressed + tired is just a part of the job I signed up for. Personally, I think the adventure we are on is worth it. And research indicates stress is what we make of it. When people talk about self-care they are often looking for that elusive balance. Instead of balance though, let’s look at priorities. If you prioritize a refreshed + focused brain, your work, relationships, family life, and other hobbies will all benefit. Focus on the right things and the rest falls into place. Ultimately, you have to choose how to spend your energy + make time for the right things. Self-care is prioritizing a refreshed + focused brain. Self-care is what you do to help you operate at your best. It’s recognizing your humanity and setting the tone of the environment so you can be free to BE HUMAN. For me, I safeguard my sleep. In fact, the other night I actually told my work “goodnight” even though I was still getting bombarded with to-do’s. I know that to be my best for my kids, I can’t be running on anything less than 7 hours of sleep. So on the days I wake up early, I take naps to catch up. It’s one of the big things that make our current life choices sustainable. Last week I wrote about the positive effects of a walk outside on your productivity. Similarly, this list today goes back to principles of how the human brain works and the positive outcomes associated with practicing mindfulness, quality nutrition, movement, and experiencing nature. Remember, self-care doesn’t have to happen on a designated day. It can easily be sprinkled in throughout your work day. And when you do that – when you take time to release your mind and rejuvenate – you will boost your creativity AND make it easier to focus on the task at hand. When self-care is a part of your everyday, you are recognizing that you’re human. **Keep a picnic blanket / towel in your car for a few minutes of sitting in the sun before / after an away-from-home workday or meeting. **Get to the farmer’s market — start getting to know some of the vendors – human connection win! If you have a private area – like a deck or patio – try some yoga outside in the morning or on a work break. Take a short nap (20-30 minutes) in the warm patch of sunlight streaming in on your couch — use that time to empty your mind, like a meditation. Even if you don’t fall asleep, you will feel refreshed. Be gentle with yourself – it takes practice to not just lie there ruminating on your growing list of tasks. **If you’re a pen + paper kind of planner, do it outside (bonus if it’s while the kids play by themselves!) — And remember to take some deep breaths + enjoy the world around you. It’ll help you get perspective while looking at the mountain you have planned for the day. You will only ever have time for other things when you choose to make the time. Here are a few more ideas that require a little bit more time but could really help you enjoy the changing season. How often does it seem like a season just passed you by (especially the transitional seasons like spring + fall)? Schedule in ways to enjoy the beautiful weather before the heat + humidity makes every activity require a pool or a beach! Observing the animals (the primates are our current favorite around here) can be a way to force yourself into the present. Don’t feel like you have to spend a whole day on it even if you pay to get in. An hour or two of walking around or even sitting and watching can be a great extended break. Bring a cup of coffee and just let yourself be. The trees change so fast from bare to fully leaved. Make an effort to see the buds + celebrate the changes. There are plenty of analogies between the reawakening of the trees + our own human growth cycle. Take time to observe it and express gratitude for the many ways you also sprout + grow after winter-like life seasons. Plus, spring wildflowers are the best. Clear the clutter in your house! There’s a reason spring cleaning is a thing. At the end of winter our homes (and therefore our minds + hearts) can feel heavy. Don’t just put your winter clothes back in the plastic bag for next year – use the switch out to remove the items you never wore, are now worn out, or realized didn’t give you that oomph you were going for. Make a list of the things you might keep an eye out for for next winter. You can do the same things with kid clothes + toys. As they transition to playing outside more, think about what toys they will have outgrown by fall and just get rid of them. Or put away some of the ones that will last to be like new again later. Important note: this will be an overwhelming task if you try to do it all at once. You’ve got a business to run and other projects should accommodate! So make a list of rooms / closets / items and just add a little thing to your list each week or an even littler thing each day. Make your “donate” pile while you fold laundry, separate toys as you clean up at night. When you’re growing a business, the rest of life should be simple. It’s the only way balance will happen. Thanks for the reminder that there is, in fact, a whole world outside my living room/office! I am with you, Kirsten. You would know better than I – since your busy season is going to be starting up now! – we gotta work hard to savor each season because there is ALWAYS more work to do! Hope you’re having a good start to your week, friend.